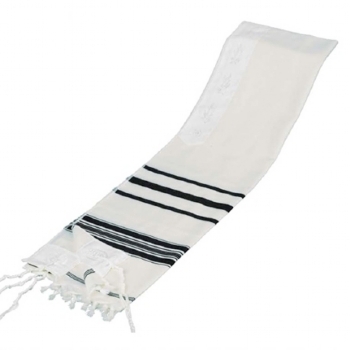 The classic wool tallit with all options. Hand tied (avodat yad) or machine in the sefardi or ashkenazi traditions. Certified kosher card included. Special sizes available upon request.